This is easily one amongst the best pasta I have ever eaten or made! 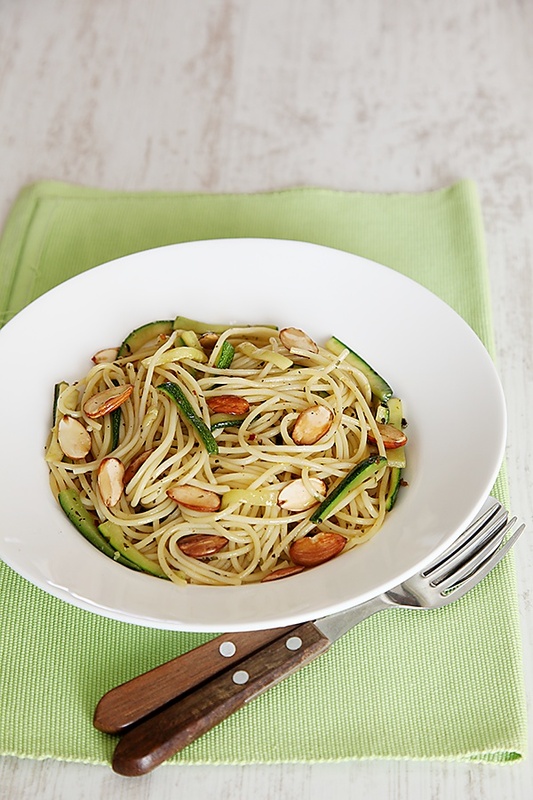 I’m not a big fan of zucchini but when paired with toasted almonds, I found that it was a match made in heaven. I love almonds! And I find ways of adding them into many dishes for the texture and flavour that they provide. 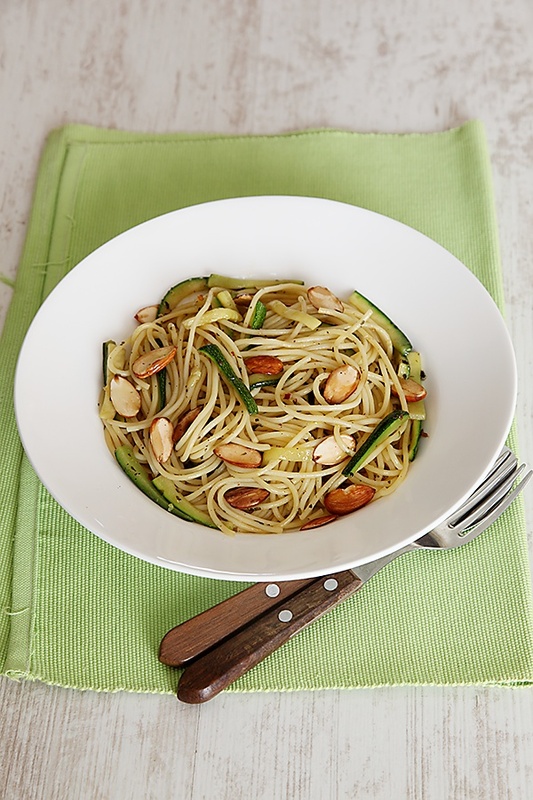 And this pairing of zucchini and almonds, made sure that it was one of the best ways I had made and served my revered almonds. 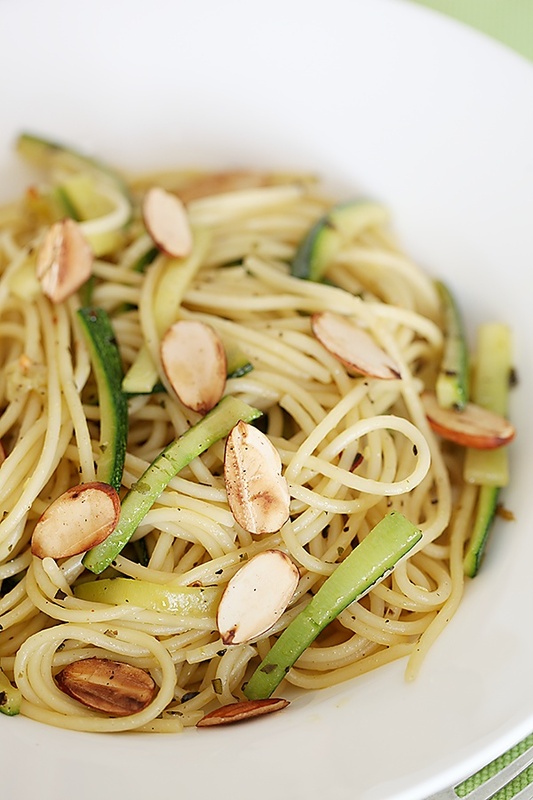 My sister has a great eye for clean flavours and tastes and when she came across a pasta made with zucchini in an Italian restaurant, she couldn’t stop raving about it. And when I was visiting her just before my nephew was born, I made this pasta for her to relish and savour. And now, this pasta has won many the hearts of many folks in my family. My husband, my son and my brother-in-law are all fans. When I made this dish, I was surprised that such a simple dish can have so much impact on the taste buds in terms, of flavour, taste and contentment. The contentment factor, apart from taste is very important to me, when I cook a dish. And this pasta scores high on all fronts. I hope, I have convinced you enough for you to get into the kitchen to make this dish. At times, a dish does not need much talking about. But, at times one has to be verbose to put the point across. This dish is worthy enough of me waxing eloquent, at the cost of sounding a bit effusive with my words. Lastly, I thank all of you for all the wonderful wishes and comments in my previous post. I absolutely enjoyed hearing from all of you about which divinetaste dessert you would like to serve for the contest. It took me back down memory lane to many dishes that were tucked away in the corner of my memory zone. And I look forward to hearing from everyone and especially the silent ones who break their silence. And before I sign off, this is the link to my show “DivineTaste With Anushruti” on Rajshri food. Bye for now! Stay tuned for more! Please note- The contest is on till the 28th of this month, so keep the comments rolling in. For more details, refer to my previous post. Cook the pasta according to package instructions. 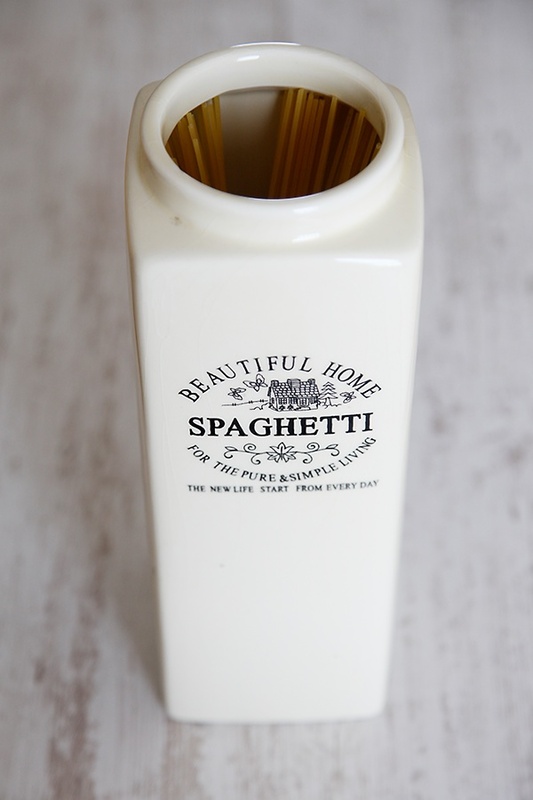 Reserve the pasta cooking water. 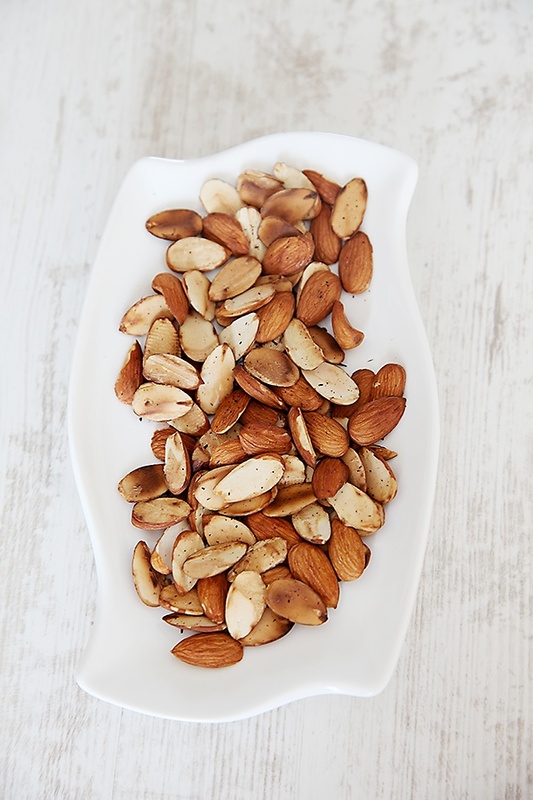 Cut the almonds into two halves and roast them in a skillet on low heat until the almonds change colour and turn a golden brown. Slice one ¼” circle off the zucchini and rub it against the cut part of the zucchini to remove the bitter juices. 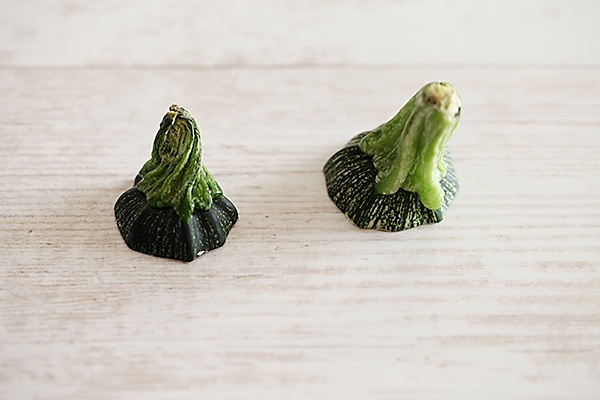 And then, cut the zucchini into three parts and slice them vertically into 2 or 3 parts, depending on the size of the zucchini. Next, cut the zucchini into vertical strips. In a pan, put in 2 to 3 tbsp olive oil, the optional asafetida, black pepper, paprika flakes, oregano and basil. 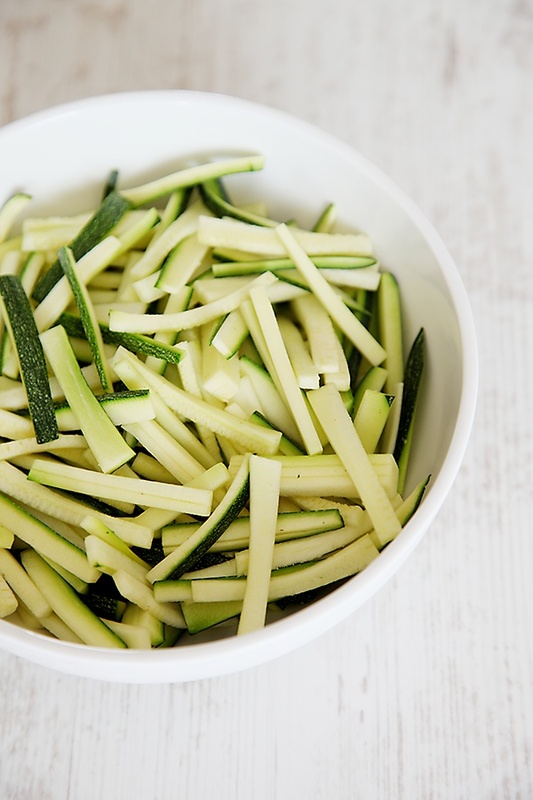 Stir in the chopped zucchini and cook for 3 to 4 minutes, until the zucchini softens. Add the salt, give it a good stir and then mix in the pasta. Put in about ¼ to ½ a cup of the pasta cooking water to bring all the flavours together. Mix in the toasted almonds and serve. This is absolutely delight, pasta without tomatoes and cheese!!! I am making it today. Your pics n your recipes are always awesome. Keep up the good work,n stay healthy. Very nice…Thanks for this simple yet delicious and fulfilling recipe Pasta is anyways my all time fav. This recipe looks too good and I am definitely going to give it a try like your other recipes. I liked your shows online as well…Glad to see you in action. Seeing the video makes the recipe look much more interesting and easy to follow. Thank you so much. Wish you all the best in your Divine adventures! I love zucchini! Will definitely try this soon, thanks Anushruti! And congrats on having your own show! Tried this recipe for dinner and everyone loved it! Such a simple recipe but tastes absolutely divine!!! Your pics are a visual treat and that actually drove me to d kitchen to try this dish. Thank you very much Anushruti, now i will get best of both, the Videos and blog. i am very delighted to see you and Prabhupad. very nice videos. once again thank you for this Satvik blog which as now become like a mother to me, teaching me wonderful and healthy cooking. keep going.. Awesome recipe and pics. 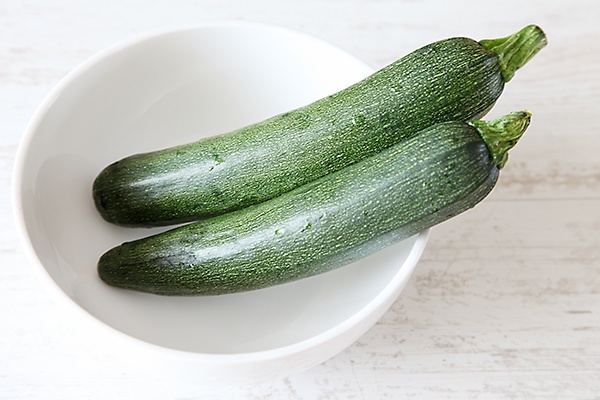 Can zuchchini be replaced with any other options Bcoz it is not available in my place.Are oregano and paprika good buy for South Indian Tamil cooking.in which ways i could use them? Shruti: Hope you like this pasta as well. Look forward to hearing from you about it. Asmita: Thank you so much for your good wishes. bindi: Thanks. Hope you like it. Aparna: How nice to hear that! Happy to hear that you and your family liked this pasta. Indulekha: I'm really touched by your message. Tahnk you for the honour you have given me and this space of mine. 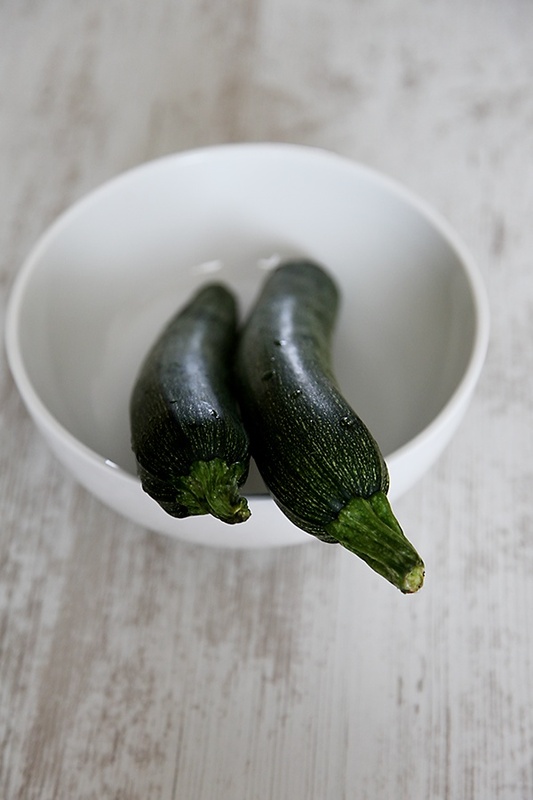 Lakshmi: You can replace the zucchini with carrots and maybe you can use thick cucumbers? But, the cucumbers will lose shape after cooking. You can use the paprika in Indian cooking. Oregano can be used to make other dishes in Italian and continental cuisine. This is such an easy recipe. I would love to make it. I also have a question for you. Could you share with us the equipments you use for your recipes, for example, what oven do you use and what mixer etc. It would be very useful. Thank you so much and looking forward to see more of your recipes. Tried this recipe yesterday. Added capsicum n carrots juliennes. Fantastic recipe, came out great. Navya: I use a variety of equipment. IF you watch my videos, you can see what I use. If you have any specific question, you can ask me here. Chechi, which company steel pan is that you have used in your semolina potatoes video and even that red vessel used for masala upma? Hi Anushruti,tried this today,turned out very well- added broccoli and carrots also- really nice…thx for the recipe! Ambika: Good to know that! 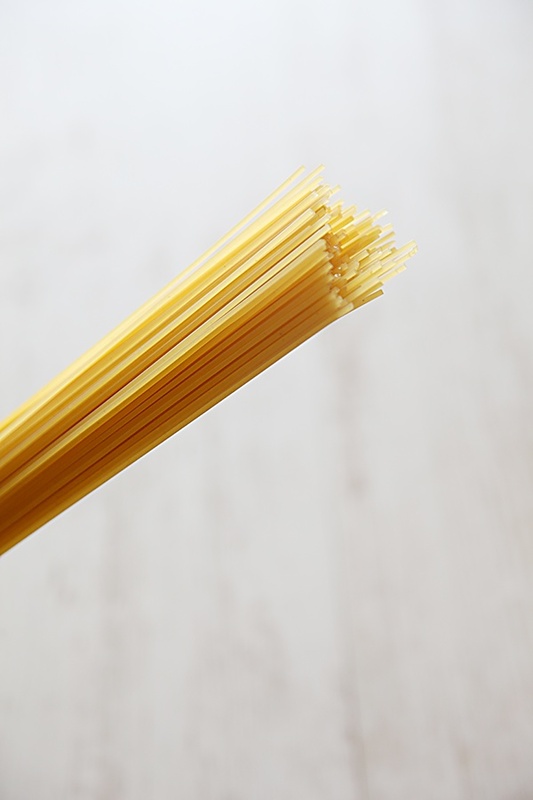 Hi.. can i use other pasta (penne/elbow) too instead of spaghetti for this recipe? Gayatri- I'm so happy to hear that. People are often skpetical about using hing, especially in western dishes and are surprised by how good it tastes when they happen to taste it. Its so good for digestion too.